Many teens just have too much to do. If a teen is overscheduled the question to ask is “Why?” Do they feel pressure from their peers, parents, or even the prospect of applying to a prestigious college to be involved in a multitude of extracurricular activities? 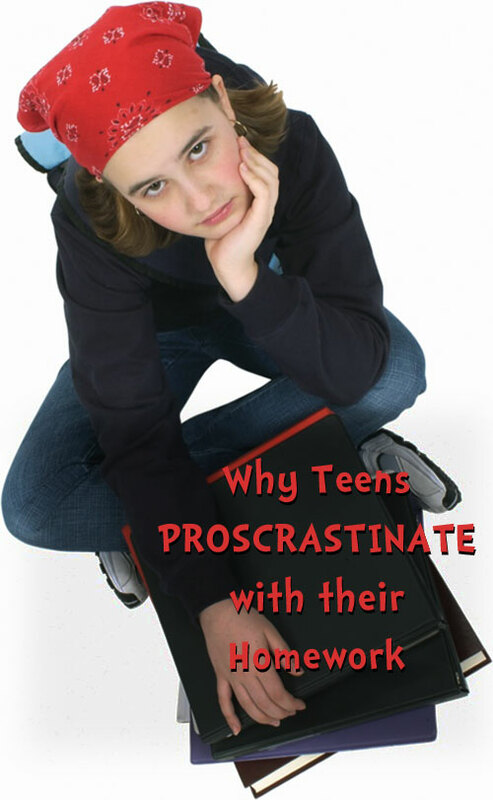 To assess whether a teen is overbooked help them create an hour-by-hour schedule for a typical week. The schedule should include all practices, work, church, school, travel, personal hygiene, and sleep. Once all of these activities are filled in, it becomes clear how much time is left for homework, study, and recreational time. A typical high school student needs about 2 hours per day, six days a week for homework and study. If that space is not available in the schedule, perhaps it’s time to eliminate one activity that the teen is not that passionate about. My teen clients scoff at the recommendation that they should only spend 2 hours per day 6 days per week on homework and study. They claim that they need more time to get homework done. They are, after all fully loaded with 5 AP classes. An amazing thing happens when we sit down and look at what is killing their homework efficiency; they realize their phone and computer are the culprits. Texting friends, Facebook, and Youtube tend to be the biggest time wasters. There are a couple of strategies that can be used to combat these problems. First, give the phone a break by charging it in a separate room during homework hours. Next, save any computer based homework for last. Students tend to get on the computer for honorable intentions, but find themselves perusing their friends’ status updates an hour later. Finally, there are several programs that will block certain websites for specified periods of the day. Here is a link to the 99U blog that details a few such productivity programs. When a subject is difficult, students may delay beginning homework because they dread the struggle. This tends to be the case in difficult process-based classes like math and physics. If a student has a tough time in a particular subject, then they need to sit down and develop a step-by-step plan for how to tackle assignments for that class. Creating a flow chart that outlines how many attempts will be made at solving a problem, when to consult resources – like class notes or the Internet – for help, or simply at which point to move on to the next problem and ask the teacher for clarification provides a useful tool to keep from getting stuck. Seeking the help of other students, doing homework during the teacher’s tutorials, and hiring a private tutor are other strategies that increase a student’s homework efficiency in a difficult class. Focus breaks: These are very short (1-5 minutes) mental breaks, used during studying or homework, to allow the student to re-focus when they feel like they aren’t truly attending to the task at hand. Examples of this would include standing up to stretch, or closing your eyes to regroup your thoughts. Re-charge breaks: These are longer breaks that are used to take care of essential needs. They can range from 5 minutes to an hour. This would include restroom breaks, eating, exercising, power naps, meditation, etc. True breaks: This is when all work is complete and the mind is completely free to engage in a desired activity or rest without the stress or worry of having tasks to complete. Most of the time students claim to be taking a re-charge break, but end up gravitating toward activities like checking Facebook, watching TV, or playing video games all of which should be saved for their true break. I coach my clients to take a 30 minute re-charge break after school. This reduces the chances of them wasting time by a technology distraction, increases the likelihood that they will actually complete their homework, and makes their true-break more enjoyable. Developing the habit of staying on top of homework is crucial for a teen. While they may be able to eek by with bad homework habits, they will be less stressed once they establish and effective strategy. There is a possibility that a less stressed teen could be more pleasant to be around. And who wouldn’t want that? Amanda McClure is an Academic Life Coach in Plano who works with teens individually to help them manage academic stress, relationships, and the college application process.